Consider finding 20 minutes to spend with someone halfway across the world. It may change your life, or their’s! Check out the Shared Studios Portal project website. Make your reservation today. Currently facilitating visits with Rwanda, Honduras, Gaza, and Mexico City! This experience is open to all: students, faculty, staff, alumni, and community members. 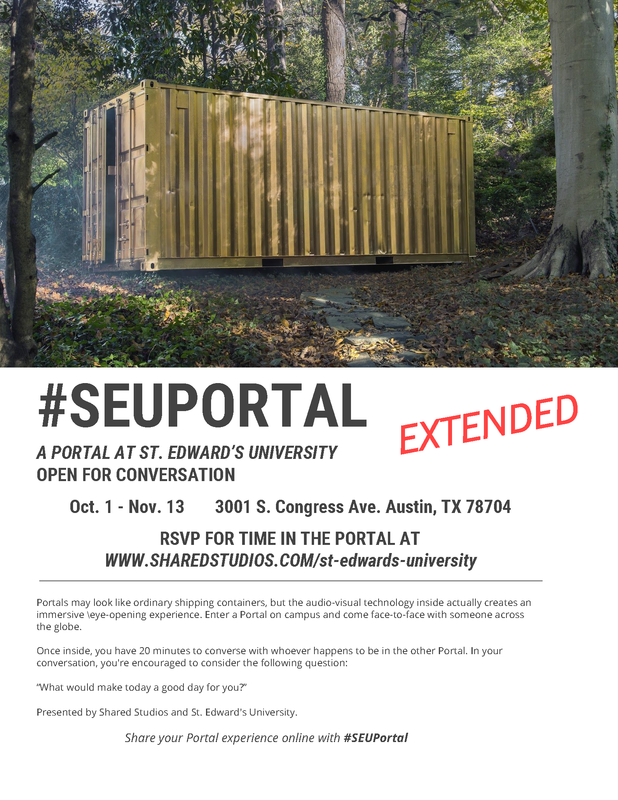 This entry was posted in Alumni News, Faculty News, Student News, Wild Basin and tagged geo, portal, seuportal, shared studios, take on your world by Gary Morris. Bookmark the permalink.